Today I am blatantly promoting books by friends, women I have met through RWA’s Golden Heart contest, but I wouldn’t steer you wrong. These are books, and writers, that I enjoy. Nan Dixon is a Starcatcher (2011) and Lucky 13 (2013) GH finalist. Her debut novel, Southern Comforts, offers the reader a lovely trip to Savannah (with a side trip to Boston) and food and wine descriptions that will leave her mouth watering. (Psst: the recipe for those brandy pecan bars is on Nan’s website!). 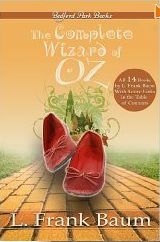 Abby Fitzgerald is determined to make a success of her family’s bed and Breakfast, Fitzgerald House, but her long term plan is to add her own restaurant, Southern Comforts, and prove her standing as a top-drawer chef. And despite the business assistance of her two sisters, Bess and Dolley, she’s set on doing it herself. Her irresponsible father and the chef who dumped her in New York, blocking her culinary career, have led her to distrust men—and their money. And money is what Grayson Smythe has a lot of. The Boston businessman has booked a six-month stay at Fitzgerald House while he oversees the conversion of a warehouse to condos, and Abby’s sister has forgotten to tell her that the deal includes dinner. Gray quickly falls in love with Abby’s cooking, but admitting that he’s falling in love with her is another matter. And persuading her to trust his good intentions is even harder. I thoroughly enjoyed Southern Comforts and I’m looking forward to reading Bess and Dolley’s stories one of these days. Heather Ashby is a Firebird (2012) GH finalist, and a Navy veteran (and long-time Navy wife) herself. With co-author (and retired Marine) Christopher Bergeron, she wraps up her four-book Love in the Fleet series with Unforgettable, a follow up to the previous book, Never Forget, continuing the story of Royal Navy Lieutenant Gwyn Pritchard and Marine Gunnery Sergeant Adam Connor and adding a romance for Navy pilot Mike Nickolopoulos and Marine pilot Cate Hawkins. Unforgettable also ties up the stories of the 9/11 spirits trapped aboard the U.S.S. New York. Ashby and Bergeron blend romance and healing among the officers with exciting military action and suspense, producing a very satisfying finale to the series. Susan Boyer is also a Firebird. Her 2012 GH finalist mystery novel, Lowcountry Boil, won an Agatha Award for Best First Book. Lowcountry Boneyard is the third installment in Susan’s Liz Talbot mystery series. Liz is a private investigator based on Stella Maris, an island off the coast of South Carolina, a ferry ride from Charleston. She works cases with her partner Nate Andrews and occasional well-placed help from the ghost of Colleen, her long-dead high school best friend, whose mission in the afterlife is to protect Stella Maris. In Lowcountry Boneyard, Liz and Nate take on the case of missing heiress Kent Heyward, cutting their way through long-buried family secrets and rivalries. They have some problems of their own to solve, too—their business may do well with Liz based on Stella Maris and Nate a few hours away in Greenville, but their romantic relationship is suffering. I’m looking forward to Liz’ next case (Lowcountry Bordello, due out in November) and hope there will be many more. By the way, if you enjoy cozy regional mysteries, check out Susan and Liz’ publisher, Henery Press. I’ve been pretty good about not buying more paper books lately. Given that I only manage to read about one paper book a week, I’m already four or five years behind. I haven’t been as restrained with my Kindle downloads. The combination of low price and instant availability is often too much to resist, and many of my friends publish electronically these days. I can’t keep up with all of them, either. I can barely keep up with my own writing. Of course it doesn’t help that I get daily emails from BookBub and Amazon Daily Deals. At least once or twice a week something pops up that I can’t resist. This morning it was Patrick Dennis’ hilarious Auntie Mame. I have a paperback copy of Auntie Mame on one of the high shelves in the living room (along with most of Dennis’ other books). It’s so old that the spine is brittle, the pages yellow, and the original price was 95 cents. I’d be afraid to try to read it again. Now I can read it on my Kindle. A day or two ago I downloaded Petticoat Detective, by Margaret Brownley. I read many of Brownley’s books back in the 90s, light-hearted American historical romances. Then she dropped out of the game for awhile, resurfacing in recent years with an inspirational publishing house. Her latest release, about a female Pinkerton agent working undercover in a brothel, looks like fun. Southern Comforts, by Nan Dixon, is a book I’ve been looking forward to reading ever since I read the first few chapters as a contest judge a few years ago. On the other hand, Ghostly Paws, by Leighann Dobbs, is a mystery with paranormal elements, by an author I’ve never read, but her ad on BookBub was too tempting to resist. Gunpowder Alchemy is a steampunk novel set in China, by Jeannie Lin, an author whose China-set historical romances I have read and enjoyed. This is something different for Lin, and I’m looking forward to reading it. In recent weeks I’ve also added a couple of paranormal romances (Lorenda Christensen’s Til Dragons Do Us Part and Anna Richland’s First To Burn) and a mystery that I first read long ago (and saw dramatized recently on PBS), Agatha Christie’s Halloween Party. My Kindle app tells me that I have 263 titles on my Kindle, and I’ve only read a fraction of them. I’ll never catch up, but I’ll never run out of reading material, either. Last week my Starcatcher & Lucky 13s sister Nan Dixon tagged me to carry on the Writing Process Blog Hop. Nan is a five-time Golden Heart finalist and has recently made her first sale to Harlequin SuperRomance. Southern Comforts will be published in December 2014. Jinn on the Rocks is the third book in my Jinn series, following Jinn & Tonic and Bathtub Jinn. Zee, the heroine of this installment, is a changeling, a jinn left in the mortal world as a baby a century or so ago. Curran, the hero, is a jinn cast into the mortal world by the breaking of his bottle—and not, it would seem, by accident. Together with a smart-mouthed goblin and a dog who probably isn’t really a dog, they are trying to figure out how Curran can return to the world of the jinn, who Zee really is, and, of course, the route to a Happy Ending. I write Funny. Well, I hope I do. I mean to. But of course humor is a terribly subjective thing, and not everyone will agree on what exactly is funny. If I tried to write vampires, they’d probably be allergic to hemoglobin, and my werewolves would likely have fleas. I can’t help it. I used to slip jokes into environmental impact reports for the Corps of Engineers. But just look around you—love is funny. Every romance needs a generous helping of humor if it’s going to last beyond infatuation. I write humor because, well, that’s who I am. I love to make my critique group chuckle. I love to read humor in almost any genre. I have written historical and time travel romances because I have some academic and practical background knowledge of nineteenth-century Texas. But mostly I write paranormal, and when I look back I realize that my favorite childhood books included the Oz series, Hugh Lofting’s Doctor Doolittle books, and Edward Eager’s Half Magic series. I started reading science fiction when I was about ten years old, and still love the genre. Am I escaping from “reality?” Maybe, but it’s always been a fun trip. Mechanically: all over the place. I’ve written longhand in spiral notebooks, on typewriters, gone through at least half a dozen word processing programs before settling on Word, and tried too many writing accessory programs to count. 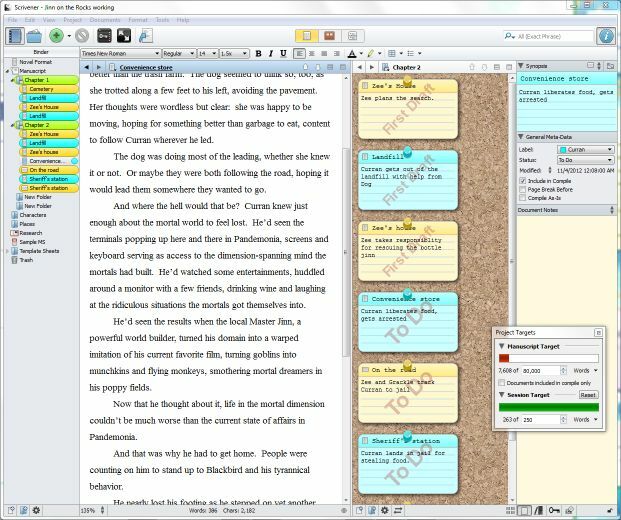 About a year and a half ago I fell in love with Scrivener, and now I use it for nearly everything (including blog posts). Creatively: I’m more on the pantser end of the scale than the plotter, but that’s not really intentional. I usually have at least two or three chapters ahead plotted, maybe more. I plotted the second half of Bathtub Jinn in order to enter a contest that required a synopsis, and that synopsis allowed me to finish the book (just barely) in time to enter the Golden Heart—and final. But I’m not usually that disciplined. I tend to be a very linear writer (I keep hoping Scrivener will help me loosen up on that a bit), and I find it hard to predict what will happen a hundred pages or more ahead until I get there. I don’t do character interviews or biographies, and I often have to write several chapters before I have any real idea who my characters are. Sometime I have to write, and throw away, several chapters before I know what my story is, or more to the point, where it starts. A note on titles: My 2011 historical Golden Heart finalist, Paper Hearts, was simply “the newspaper story” for a long time, until the title popped into my head one day. But the Jinn books have all started with their titles—if you think of any good gin puns, I’d love to hear them. My next Jinn book may be hiding behind one of them. Now I’ll pass the Writing Process baton on to my Firebird sister Natalie Meg Evans, who has promised to post her version next Monday. Natalie’s first novel, The Dress Thief, has just been published in the UK by Quercus Books, and is available from the Book Depository.